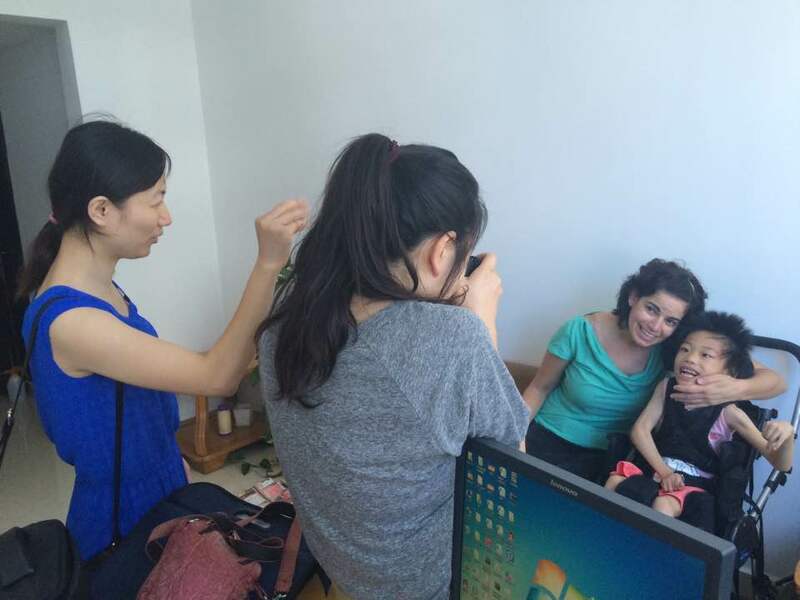 This post is from the blog of Butterfly Children’s Hospices, the people in Changsha who first cared for Annie when she was found in such bad shape. It’s deeply moving and really gives the scope of her seven years and how far she has come. I’m flattered that they used some of my photos to tell this story. Thanks, Butterfly Hospices! Our blog has been giddy with good news recently. It seems this is a season of restoration for many of our children. Robert is home in the States, Jack is meeting his family soon, and Sabrina, Katelyn, Charlotte and Calvin have all been matched with loving families. 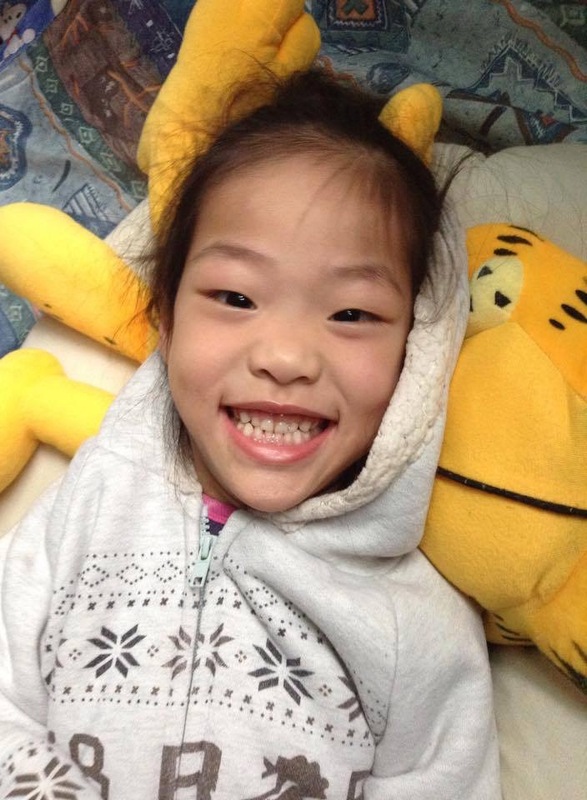 And there is another former Butterfly home in the States – our precious Annie is now a daughter! Annie came to us in dire straits. Her body was pulled so taut with spasms that her ankles curled back and touched the back of her head. 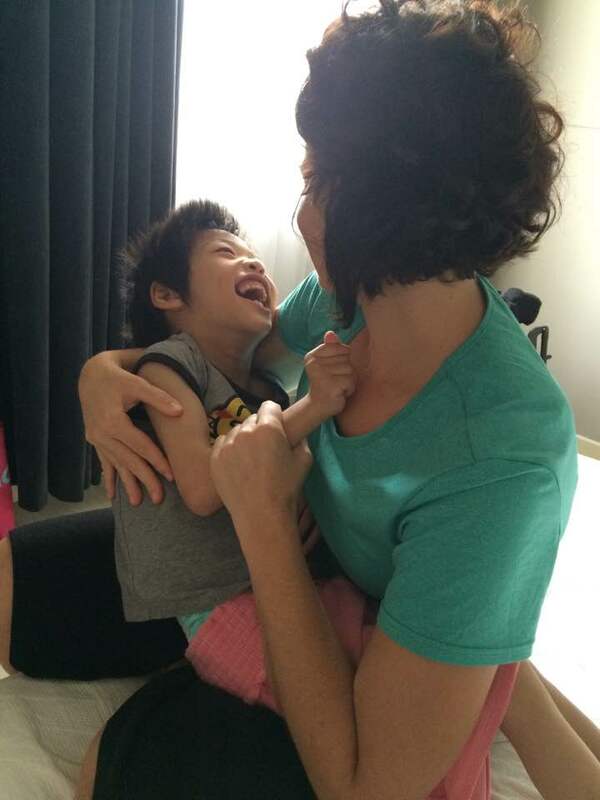 Our staff were afraid – how do you touch a child who is pulled and contorted and tight as a bow string? They didn’t know how to reach the little person inside that stricken body. They were scared she would snap if they tried. Later it became hard to imagine that our Sunshine Annie was ever that same terrified girl. 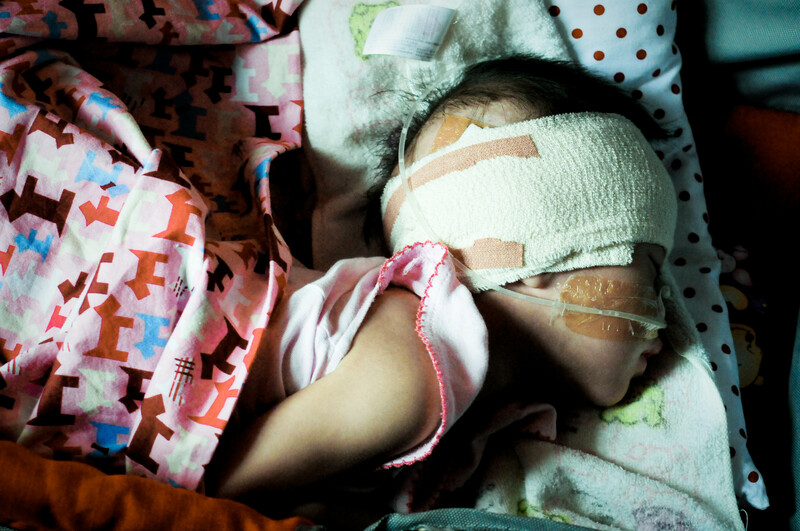 Once she was fed and loved with her spasms were controlled, we learnt that she was outgoing, funny and warm. She was cheeky and clever, drawn to people and excitement. She was the girl who loved being tickled and always wanted to go faster! 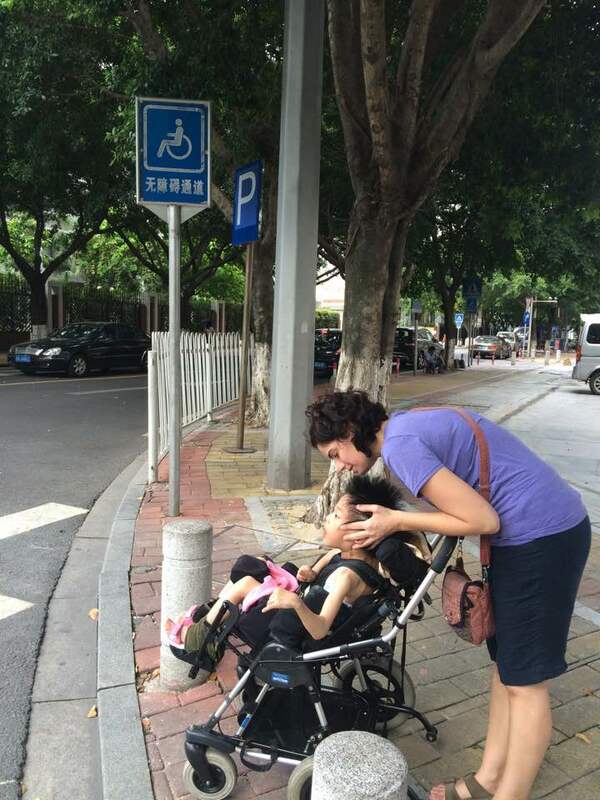 She was kind too – she didn’t complain when smaller children were getting attention but waited for her turn. She delighted people with her mega-watt smile, and gave everyone an extra special reason to hurry to work. It was always easy to love Annie. 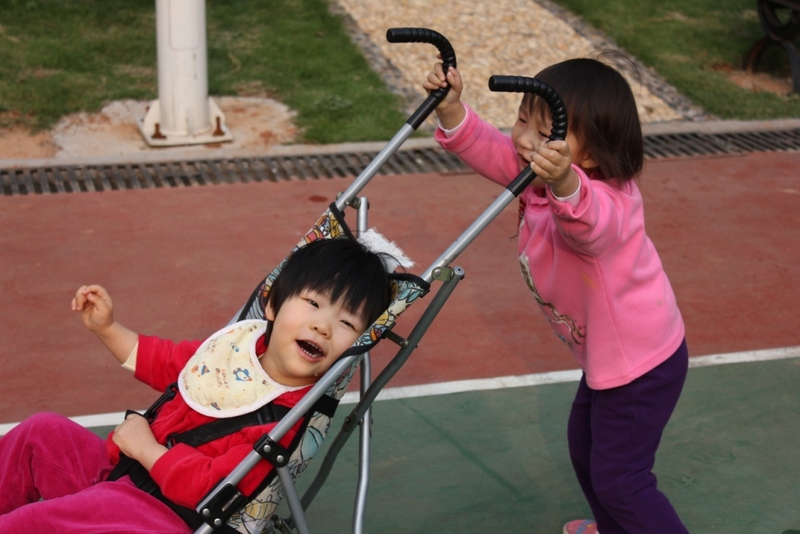 Eventually Annie moved into the care of International China Concern. They continued working with her on communication and other life skills. She was loved and settled. Life was good enough. But Annie still didn’t belong to anyone. Everyone she met loved her, but eventually they all went home. Volunteers would return to their work or studies, travellers would board a plane, even her ayis had to clock off sometimes. Annie’s heart was overflowing with love, but she needed somewhere that love could settle forever. The story of how Annie and her mama became family is not ours to tell – enough to say it was full of twists and turns. It involved searches for apartments, files locked and released, heartache and celebration. 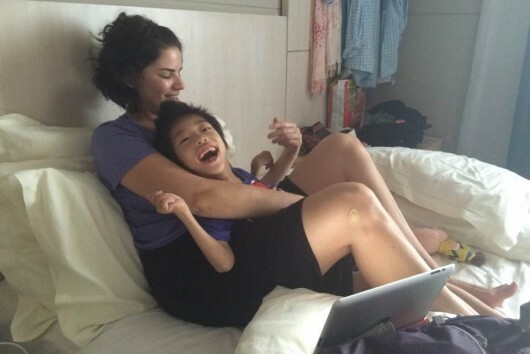 Annie’s mama is a therapist who has spent years working in China. She flew to her daughter on prayer and hope, with the support of her dedicated family and an awful lot of planning. She is fiercely committed to her girl, and in this for the long haul, right from Day One. And it was a long haul – but finally, after much planning and working, it was time. Annie’s Mama crossed the ocean to bring her daughter home. It was a beautiful, joy-drenched occasion. This is the moment they officially met. Together Annie, her Mama and her aunt explored the city, read, played, laughed and got to know each other. 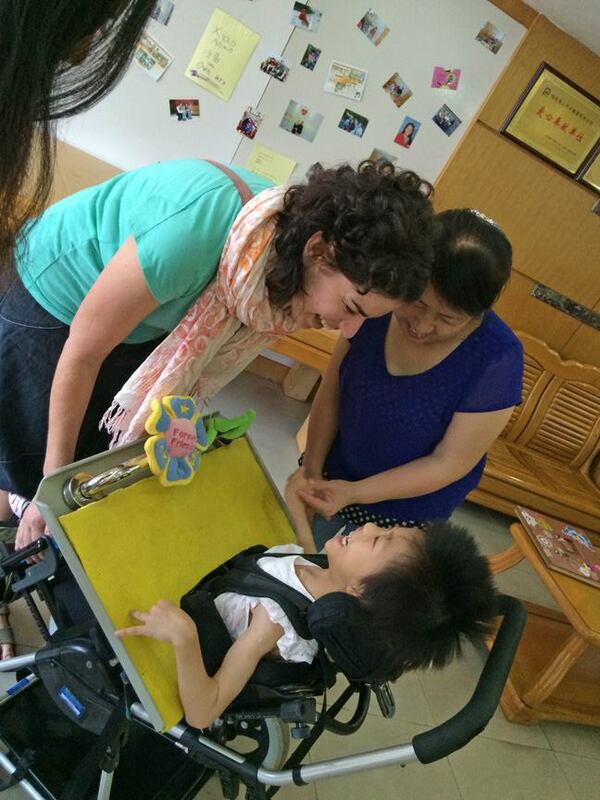 They moved on to Guangzhou for Annie’s visa, before taking the big flight home to the USA. 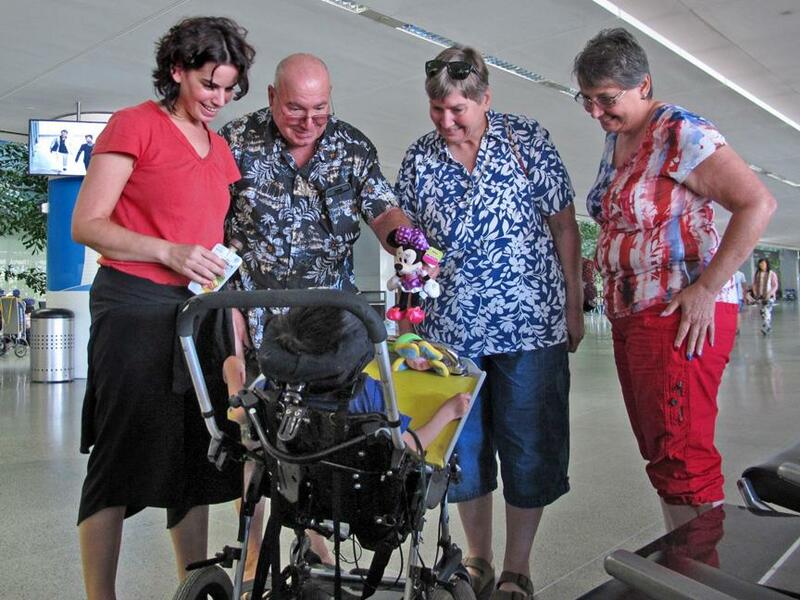 When they arrived, they were met by more love – adoring grandparents and friends were at the airport to greet them and rejoice with them. Finally Annie belongs – these are her people. And we are so happy. This chapter beings more tears to the eyes. So sweet. Doesn’t it, though? I was hugely moved by this Annie history and so grateful to read it! The Butterfly House folks are a-MAY-zing!